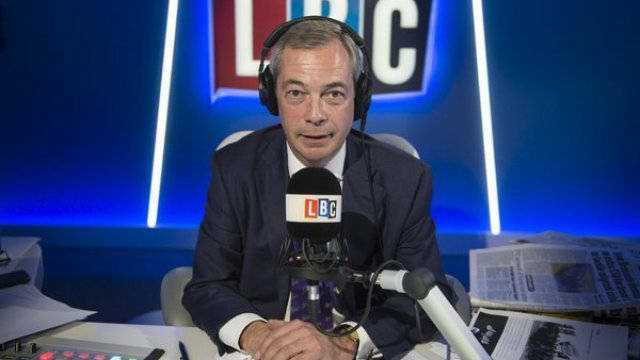 Nigel Farage has threatened to stop paying the BBC TV licence unless the BBC apologises for a report linking him to the death of a Polish man shortly after the Brexit vote. BBC beware. If Nigel in fact does choose to do so he will enjoy my full support and I have no doubt millions of others may well follow suit. It can be done 100% legally and there is plenty of advice online on how to do it. The BBC interviewed a friend of the man who was killed. At the end of the BBC Newsnight piece the man said: “Nigel Farage now has blood on his hands”. This is depressingly typical BBC and a pattern seen many times before. This incident is a prime example of the modus operandi of the BBC’s political biases and how it uses opinion to further its agenda. The difficulty the BBC has in this case is that the man’s claim was emotive, ludicrous and libellous. Taken to its logical conclusion, this would mean every politician who campaigned for Brexit also had ‘blood on their hands’ and presumably everyone who voted for it as well. Why only Nigel Farage? I can understand how the friend of the man feels but the statement he made in relation to Nigel Farage was at best ludicrous, at worst libellous. Either way, the BBC had no business broadcasting it. The only reason to broadcast it was because it just so happens to align with their anti-Brexit political position and by extension, anti-Farage. Should Nigel sue the BBC for libel and win, it will be the hapless TV Licence taxpayer who again picks up the bill. Nigel could be waiting a long time for the BBC to apologise. Their past behaviour is to issue weaselly justifications for their journalism. I think it is high time those still paying the TV Licence stopped behaving like frightened children and cancelled. It’s time to force the government to withdraw its state sponsorship for this overtly politically biased organisation. I stopped watching TV a few months ago, and a few weeks ago declared this and stopped paying the licence fee. I did this partly because it was a waste of money, but what really drove me to it was to deprive the BBC of £147 a year. Obviously, they won’t notice this, but I don’t want to subsidise postmodernist-Marxist propaganda and an institution which has racist hiring practices for some of its advertised jobs. It will probably take a million viewers doing this for them to notice. Politically I suggest that the licence payers be converted into shareholders who own the BBC and who decide who will be hired to run it. I cancelled my license in August 2016. 6 months later a goon turned up as I was coming back from taking the dog out, he made out that he was scared of dogs so I went to put the dog inside but he tried to push his way in, I pulled him back with such force I threw him into the stairs, I live on the ground floor so they were going up.